A good book can make things a whole lot cozier while you’re relaxing by the fire with a warm cup of cocoa. Enjoyable reading can also help pass the time as you travel back and forth between family and friends over the holidays. 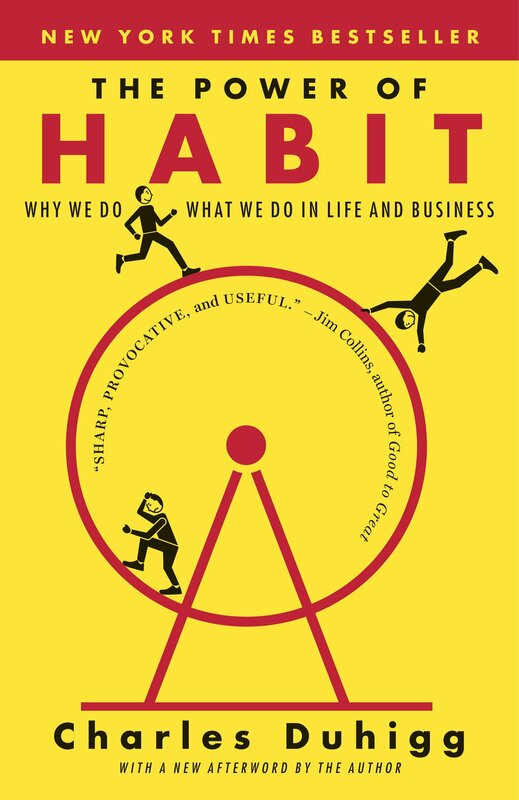 The 12 books on this list cover a range of health and wellness topics (Healing, Lifestyle Choices, Spiritual Reflection, Relationships, Attitude, and Workplace Satisfaction), and they have all been vetted by yours truly. Each of these books has impacted my life in a profound way. I believe that whichever one speaks to you is worth investing a little time in. Give yourself the gift of some soul-searching and/or nuturing this season. These books are sure to do the trick. 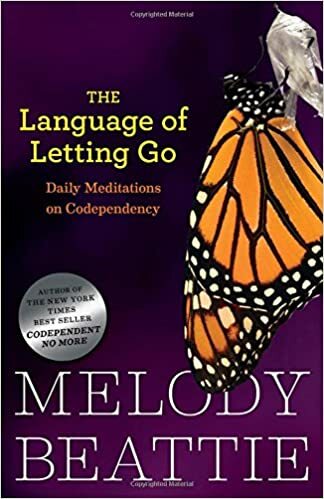 “Melody Beattie integrates her own life experiences and fundamental recovery reflections in this unique daily meditation book written especially for those of us who struggle with the issue of codependency. “For many, losing weight is a never-ending struggle, especially since our bodies are designed to keep weight on at all costs; it’s a matter of survival. 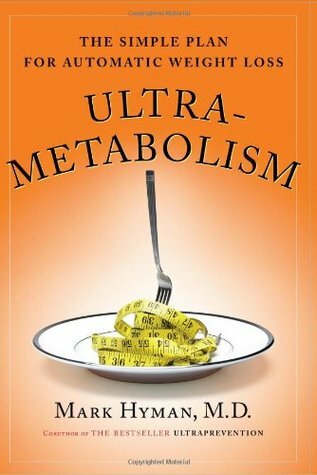 But a medical revolution is under way, showing us how to work with our bodies instead of against them to improve nutrition and ignite the natural fat-burning furnaces that lie dormant within us. “Dr. 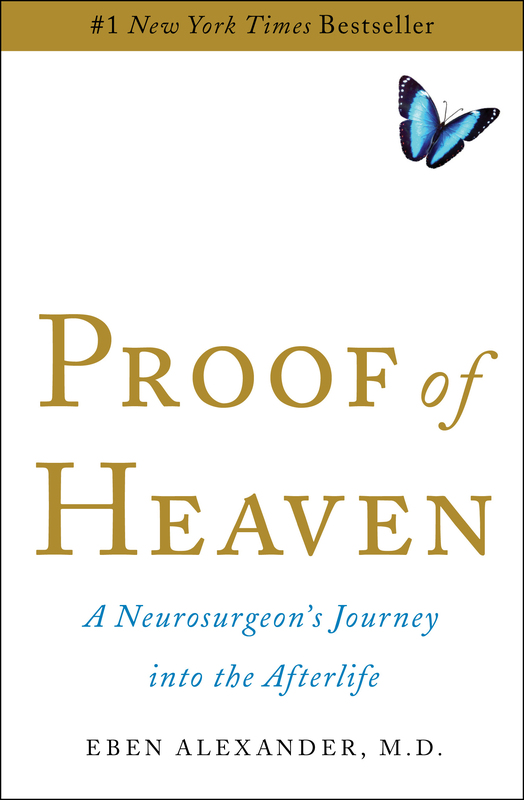 Alexander’s brain was attacked by a rare illness. The part of the brain that controls thought and emotion—and in essence makes us human—shut down completely. For seven days he lay in a coma. Then, as his doctors considered stopping treatment, Alexander’s eyes popped open. He had come back. Alexander’s recovery is a medical miracle. “There are thousands of how-to books for improving various areas of life―self, relationships, finances, fitness, business, marriage, family. And there are nearly as many books written for believers offering a framework for the “right” approach to a new life in God. “Falling in love is easy. 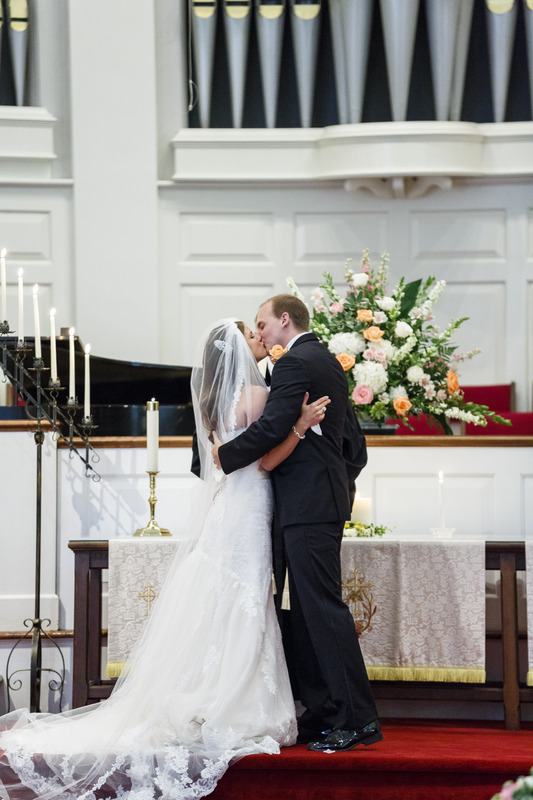 Staying in love—that’s the challenge! How can you keep your relationship fresh and growing amid the demands, conflicts, and just plain boredom of everyday life? “Spring, summer, winter, fall. 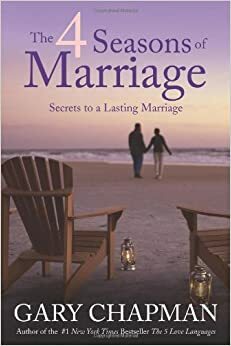 Marriages are perpetually in a state of transition, continually moving from one season to another―perhaps not annually, as in nature, but just as certainly and consistently. Sometimes we find ourselves in winter―discouraged, detached, and dissatisfied; other times, we experience springtime with its openness, hope, and anticipation. On other occasions, we bask in the warmth of summer―comfortable, relaxed, enjoying life. And then comes fall with its uncertainty, negligence, and apprehension. The cycle repeats itself many times throughout the life of a marriage, just as the seasons repeat themselves in nature. 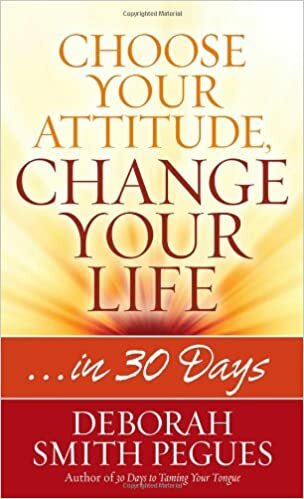 “You’ve heard the expression, “Attitude is everything.” But can a positive mental attitude make all that much difference in your personal and professional life? Deborah Smith Pegues, author of the bestselling 30 Days to Taming Your Tongue, believes strongly that it can. “Thirty years after women became 50 percent of the college graduates in the United States, men still hold the vast majority of leadership positions in government and industry. This means that women’s voices are still not heard equally in the decisions that most affect our lives. 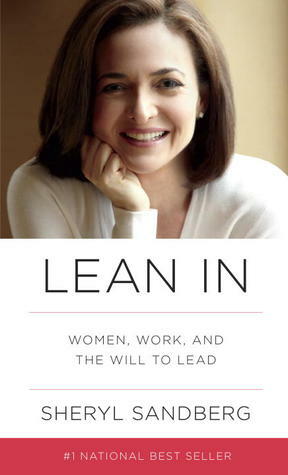 In Lean In, Sheryl Sandberg examines why women’s progress in achieving leadership roles has stalled, explains the root causes, and offers compelling, commonsense solutions that can empower women to achieve their full potential. Wishing you a physically, mentally and spirutually healthy season! Happy reading! This entry was posted in Fitness, Nutrition, Spirituality, Wellness and tagged emotional wellness, Fitness, healing, holiday reading guide, holiday season, must-read books, Positive Psychology, relationships, spiritual wellbeing, success, weight loss, women's health, Work/Life Balance on December 14, 2015 by wellnesswinz. These are lessons that I have learned the hard way and that I’m here to share. 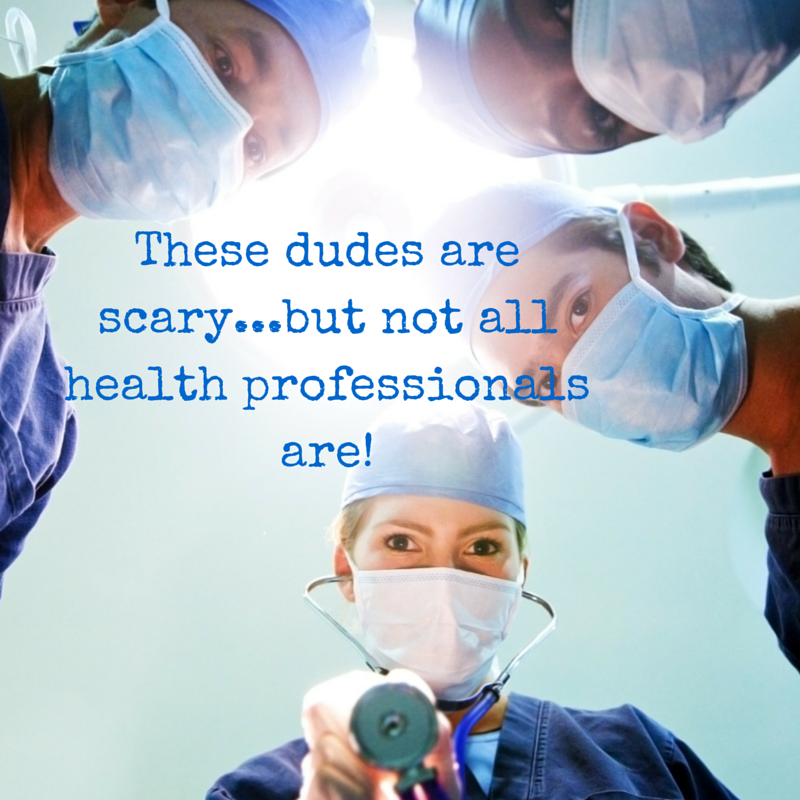 It can be incredibly difficult to navigate the confusing network of health professionals. So many people get lost when they try to figure out if they should seek treatment options from general practitioners, massage therapists, physical therapists, acupuncture specialists, chiropractic doctors, nutritionists, personal trainers, psychologists, and more. One common question is: “Should I try one at a time or opt for multiple forms of treatment at once?” This is a tricky question to answer because it’s very different for each and every person, according to their condition and stage of healing. For me, I’ve tried it all. Literally. 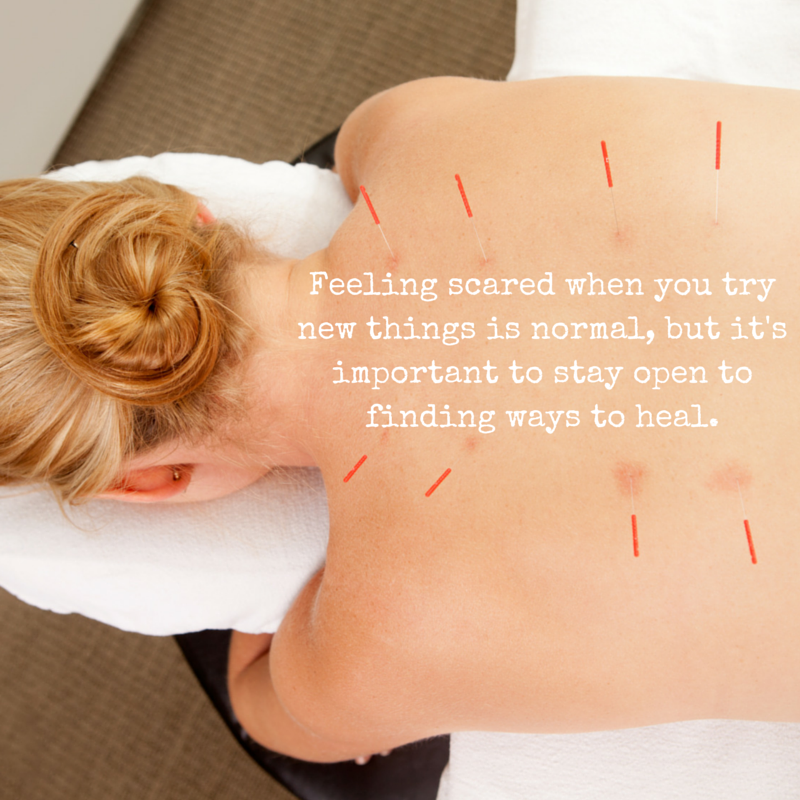 I sought out acupuncture and cupping techniques with one specialist, cognitive therapy for post-traumatic stress with another, chiropractic adjustments with two doctors, physical therapy with five different professionals, and massage therapies from an uncountable number of nimble-fingered individuals. This is not even an exhaustive list of the professionals I worked with while trying to recover from my accident. The reason I kept trying different things is because every person gave me a different opinion. I would give heed to their opinion and try their approach for a while and if it wasn’t working out, then I moved on to the next. Although I had moments when tears of frustration would roll down my face, feeling like I had set out on a fruitless treasure hunt, I just knew that I had to keep trying. What on earth would happen if I gave up?! Thus, the years stretched on, but ironically, I started to learn so much more than I bargained for. I began to learn how to heal other people who were dealing with back pain. In the time that it took me to heal my own, I helped over a dozen people quickly dissolve their issues. Perhaps, I thought, those seemingly pointless efforts with other health professionals weren’t such a waste of time after all! In the end, I’ve learned that different stages of healing may require different forms of assistance. For example, there was a time when the most important thing for me to do was heal emotionally. Once I was calmer, I began to believe in the physical healing process again. Once I rebooted that journey, I found that needling in physical therapy worked for a while, to bring flexibility back to stiff muscles that had been stuck in spasm. At another point, I found that my muscles were flexible enough to allow my back to get adjusted into alignment by a chiropractor. And finally, I found that my body was getting better and better at keeping me in alignment all on its own, thanks to being able to increase strength training again. This long, drawn-out process is just my story. (Believe it or not, we barely scratched the surface.) It doesn’t have to be so convoluted for everyone. What’s important is that you keep looking for the right help. Once you’ve found a great professional, give them time to really impact your body with their treatment/approach. 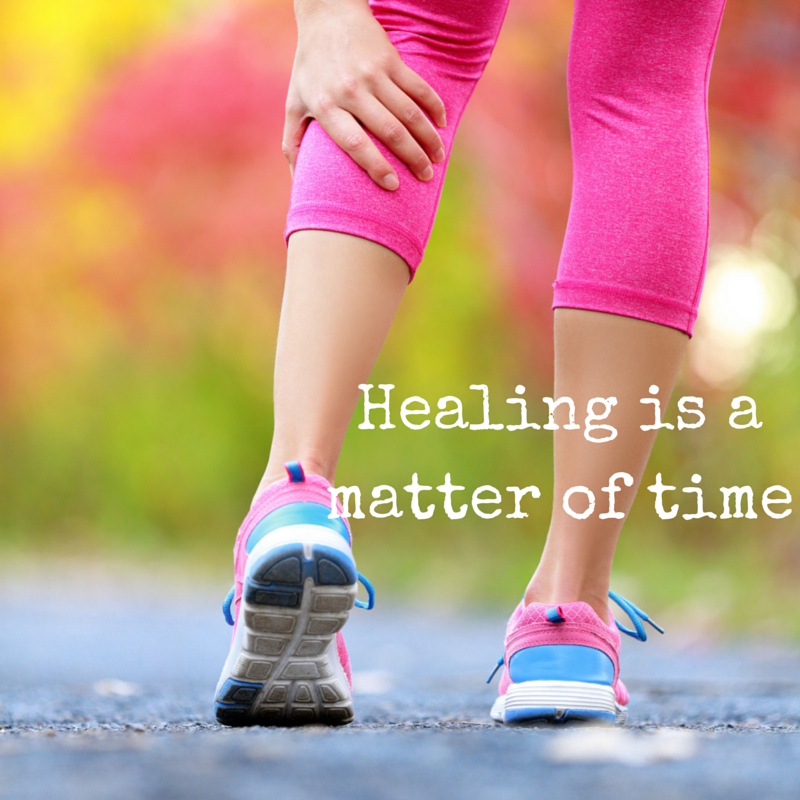 Full healing won’t happen overnight so try not to leave after your first session expecting the process to be done. Lastly on this subject, although I’m preaching to give practitioners time and patience, it’s also important to recognize and get out of a bad situation. One chiropractor I used to work with actually had the audacity to tell me not to gain weight, citing that it wouldn’t be attractive to men. It was so out of the blue (not to mention UNCALLED FOR) that it completely took me aback. I told the chauvinist straight to his face that he was lucky he said that to me and not another woman because I wouldn’t sue the pants off of him for harassment. This was not the first comment of his that was inappropriate. I walked out of his clinic that day and never turned back. There is nothing more damaging than someone who is supposed to heal you trying to tear you down instead. I deserved better. You deserve better. Yes, it’s true. When inflammation is high, your body reacts in strange and confusing ways. For example, I already mentioned to you that my body gained a lot of weight during this time. Part of this weight gain was my body hoarding fat because it was scared for its life (rightfully so). Another part of the weight gain was because of excessive water retention. My body couldn’t figure out how to flush anything through its system because it was so backed up and slowed down by all the stresses it was trying to combat. I can remember one evening when I was with a group of friends, and the guy I liked at the time, at a bar. I drank a cocktail and it sent me over the edge. I felt sick and got an intense menopausal-like hot flash. I couldn’t understand what was going on with my body. All I knew was that I needed to cool down FAST. I was profusely sweating through my dress. I told my friends that I needed to go to the bathroom but instead, I snuck around the bar counter and flung open a beer fridge’s door. If I could have squeezed my whole body into that cool little space I would have. I was desperate. I understand now that when the body is severely inflamed, even simple things like eating a food that you are sensitive to, or drinking an alcoholic beverage, can tip you into unpredictable states of discomfort. I wish I could say exactly what happens to each person in every scenario known to man, but I can’t. I can only say that keeping attuned to your healthy – or unhealthy – habits is more important than ever. Pay attention to how your body is reacting. It’s a powerful experience to realize just how prepared our bodies are to defend themselves. It physically feels like a bad thing, but it’s actually a good thing in the end. There was another time that I experienced something really bizarre, that I think may have been related to inflammation too. It happened to me was about a year after the accident. I went for a jog on a treadmill one afternoon. It felt good. Later that day, I had red spots all over my legs. I couldn’t tell if they were burst blood capillaries, an allergic reaction, or what! Even doctors weren’t sure. It was terrifying. I’m still not sure what the red spots were from but I have my suspicions. I was hyped up on Ambien every night, to help with my insomnia, and I took pain killers from time to time, when my pain got really bad. In other words, my body was dealing with a lot of foreign substances. It seemed that anything wacky was game to happen. Since I noticed that my body was obviously NOT okay with me putting anything foreign or toxic into it, I started to strip down my diet and reduce medications. I was extra careful about everything I put into my body. Over time, eating clean and being cautious about medicines really helped me. I think the crazy bodily dysfunctions were its way of telling me to stop putting foreign substances into it, and to let it do what the human body is best at: take care of me. Pictures on top = post-exercise red spots. Pictures below = marks from cupping treatments I did for a while…definitely not ideal during sundress season. She was in obvious shock at my statement and shared her concern. I had to explain to her that I wasn’t suicidal; I just didn’t want to keep fighting. I was spent! My comment just felt like the most natural statement I could make at the moment. This feeling of burnout lasted for a while. I made many careless mistakes during that time in my life. I went out partying, initiated arguments with my family over nothing, and showed interest in “bad boys” when I had forever favored mamas’ boys. It wasn’t until I started to put more effort into finding peace within myself and with God that I got back on track. I decided to initiate this process by taking a month off of work. 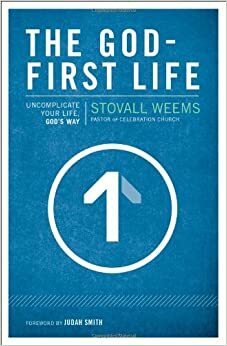 I spent lots of time soul-searching in coffee shops and wrote a book that reconnected me to my faith. As I wrote, I started to realize that I wasn’t alone. I could stop feeling so afraid. I can still remember the day that I fell down to my knees in my shower – it hit me out of nowhere that God had been there for me the whole time, even when I had forgotten and lost my way. I began to understand how to replenish my spirit and thereby discovered energy to move forward and physically heal. I wonder if I would still be married to my husband if I hadn’t been hit by that car. I know it sounds crazy but it’s true! I met my husband during my “bad boy” streak and he was the farthest thing from dismissive, rude and reckless. He was compassionate and full of life. Although I tried to shrug him off, his persistence and light kept me tethered. Although I didn’t feel attractive or worthy at that time, he saw every good thing about me even though I was focused so exclusively on the bad. I remember the night that we met. We ended up dancing for hours. Dancing became our favorite thing to do during the first few months of knowing one another. It felt great. We would find places to dance in the city and would continue dancing in our living rooms. Wherever we were, we found a way to celebrate and have fun. It was the most refreshing experience ever. I really do believe that he was sent into my life at the exact right time. He helped show me that healing was possible and that there is much to be excited about, even when you’re not feeling physically great. I would briefly forget about my pain while I was having fun and laughing with him. Soon, the bouts of pain became less frequent and less severe. Eventually, I would go an entire 24 hours without severe pain. Even when pain did hit me with a vengeance, I found new ways to stay calm because I realized that someday I would get over it completely. Everything was going to be okay. I wish I could say that healing is a linear process but alas, I can’t do that. I had many hang-ups and pitfalls along the way. Sometimes I would feel gently defeated and other times I would feel like an utter failure, but I learned to get over those negative mentalities. I learned to get stronger each and every time. Simple moments challenged me, like when I slipped on ice during the winter and my back went into a brief spasm, and when friends would ask me to go to tough exercise classes with them and I would have to say no even though I had formerly always said yes. There were other more profound moments that set back my body and spirits too. For example, one mid-summer day I collapsed in my apartment building’s elevator. I had been carrying heavy groceries because I was planning to spend the whole day cooking for family. It was a quiet hour in the middle of the day so no one was around to help me. I crawled, dragging my groceries along the floor. I tried to stand up but keeled over again. I kept trying to get back on my feet but I collapsed another two times as I made my way down the hallway to my apartment. Once inside, I cried until I was too tired to cry more. Although moments like this have the power to defeat you, they aren’t a sign that you haven’t made progress. Every time I would reignite the pain, I would get over it a little faster than before. Each time, I learned something valuable. Up until a few short years ago, I still had to put a heating pack on my back a few times every month. I would also occasionally have a sleepless night or two when my nerves would get set off and I’d fear falling back into insomnia. To this day, my back and hips have remained a little more sensitive and prone to instability. I keep it under control though. My heart will always feel a little bit sad when I think of how dark some of those days of pain were but I also know that they taught me a lot. I decided years ago that I would be okay and my body has followed me in that decision. I’ve learned exactly what to do in 15-20 minutes to immediately correct a flare-up that would formerly last for months. 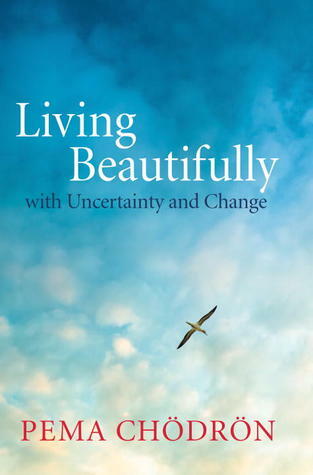 I’ve also learned that I’m capable of surviving one of the worst kinds of pain in the world – the loss of self-identity. If I can rediscover myself and come out stronger, I know that you can too. Recovery is possible when we decide to let go of hurt and move on. It’s a single, simple, profound decision [to let go] that one has to consistently choose, every day and during every moment of frustration. It’s a decision that is made in the midst of pain that can pull you through to the other side. I believe that the power of letting go can have a meaningful impact in anyone’s life. I encourage you to give it a try. find healing and joy soon too. This entry was posted in Fitness, Happiness, Spirituality, Wellness and tagged Beauty, car accident, Exercise, Faith, Fitness, Fitness Inspiration, healing, hit by a car, journey, kinetic chain, pain, pain prevention, personal trainer, spiritual wellbeing, Washington DC, wellbeing, Wellness on May 25, 2015 by wellnesswinz. Six years ago, from the day of this article’s publication (05/18/2015), my world literally turned upside down. While riding my bike to work, I was hit by a car at a busy intersection located in the heart of Washington, DC. I immediately felt sharp pain in my back after plunging to the pavement in the middle of Florida Avenue. At that moment, a startling thought crossed through my mind, one that concerned me far more than the physical agony; Am I about to become roadkill?! I couldn’t move for a minute. My breath had been taken away. I couldn’t pick myself up to get out of the intersection. I couldn’t even wave my hands for help. All I could do was focus on trying to stay conscious in spite of bolts of pain through my hips and back. Thankfully, no other car ran an additional 4,500 lbs of steel and aluminum alloy into my 130 lb body. The EMTs arrived quickly on the scene. They gave me a disapproving look when I waved them briefly away in order to call my work to say that I couldn’t teach my “Cycle and Core” class that morning. After placing the call, I let the EMTs strap me down to a spine board and make their assessments. I recall laughing with pride at how my blood pressure was still fairly stable, just minutes following a trauma. Only a crazy fitness professional would be proud of something like that. My amusement was quickly snuffed out though, thanks to escalating pain. The pain didn’t stay at its initial 10 forever but it did continue. It troubled my health, threatened my career, and haunted my psyche for the next five years. It had such a palpable presence in my life that it felt like the pain was on the verge of scraping itself out of my body and becoming its own entity; an embodiment that could more properly pound the shell of my formerly strong self deeper into the unforgiving ground. It was the cruelest “thing” I’ve ever met – hell bent on squeezing every last ounce of hope and perseverance from my body. But, I’m here today to tell you that the pain didn’t win. I did. I won thanks to the lessons I learned along the healing journey. 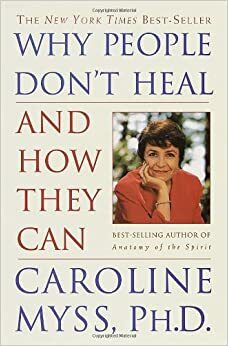 The trying times taught me how to interpret the language of pain and how to affect physical well-being through a multi-pronged approach to healthy living. It was a long process, let me tell you. But, the silver lining is that I get to share the things I’ve learned with others. I hope that lessons from my journey can help you with yours. I pray that they shed light on your pain or even personal challenges. We all go through pain at some point in our life. The process of picking ourselves up again is not always pretty. But, it’s important that we try. And try again. And again. And again. Before getting hit by a car, I had literally never broken, sprained or strained any part of my body. One time, when I was 5 years old, I was ambitiously trying to follow a friend across the monkey bars, swinging and stretching each arm to skip every other bar. It was the cool thing to do. I missed one bar mid-way across and landed in a precarious position on the ground, one arm twisted behind my back with my little body’s weight crushing it. Even then, I didn’t actually break anything; I bent my arm bone! I assumed that injuring my arm would mean getting a cast with my kindergarten classmates’ sympathies strewn all over it, smiley faces, hearts and rainbows. I was miffed by the removable brace that I was given to wear. No cast tic-tac-toe? No purple marker heart encircled by stars? 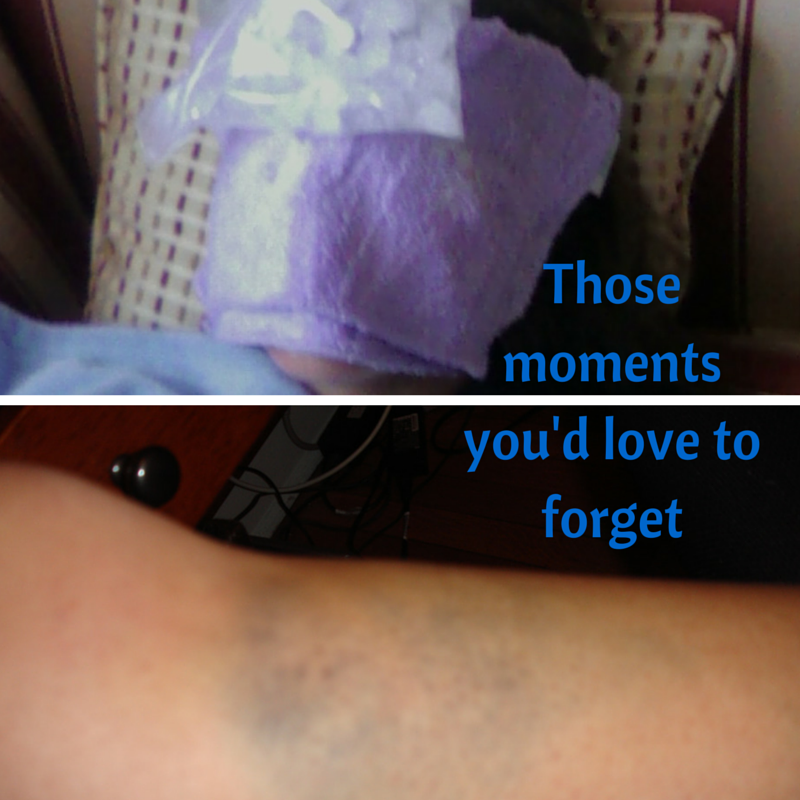 Similarly, after getting hit by the car, I was certain that the pain I was experiencing would reveal itself on X-rays. It didn’t though. No fractures in my pelvis, no hairline fractures upon my follow-up appointment, nothing! Just one enormous, dark-as-night bruise taking up 75% of the real estate on the left cheek of my rear end. I will spare you those gruesome pictures…but below you can take a glimpse at some other ones. My face is the thing behind the purple wash cloth and ice…in case you were wondering. It was so frustrating for me to be told that nothing major was wrong because I could tell that something was actually very out-of-sorts in my body. It made it difficult to justify to my co-workers and friends that I was decidedly NOT okay. I was in pain for a long time. I just couldn’t pin a clinical name and prognosis to the discomfort. I didn’t have something like a cast as proof. Unfortunately, because my pain lacked a “title,” I thought that all I needed to do was take the pain killers and muscle relaxants that I had been prescribed, and wait it out. The doctors at the hospital didn’t recommend physical therapy, so why would I need it? They didn’t say anything about psychological help, so why would I assume that counseling for post-traumatic stress should be considered? I could deal with it all on my own, right?! Wrong. 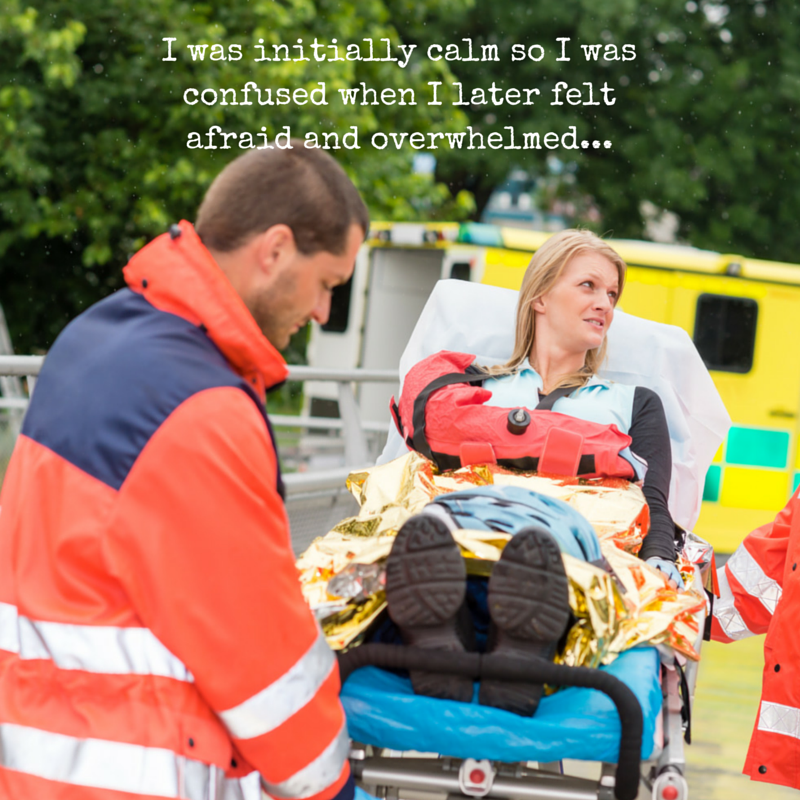 The first serious injury you experience is scary and overwhelming. You may even be in a situation like mine, with a lot of unanswered questions and mixed information coming at you. You may even have feelings that getting over the injury is your sole responsibility and burden to bear – but that is just false, false, false! There is a reason that children color “get well” messages on a friend’s cast; it’s important not to feel alone as you undergo the process of healing. Finding the right support networks as you navigate the journey is essential because feeling confused and afraid is normal. Lean on everyone you can the first time around because how you respond to this injury will impact your mentality the next time you encounter pain or hurt. It can either cripple you or cause you to take a step back and calmly evaluate your plan to get over it. It’s interesting…the first time that you’re injured, you’re in a position to learn and grow. For example, if a woman (let’s call her Angela) sprains her ankle and has to avoid her favorite sport, running, for 8 or more weeks, then she is likely going to feel frustrated and maybe even depressed. Instead of giving in to these defeated feelings, Angela can come out of her injury stronger than ever by remaining mentally patient, emotionally calm, and focused on things that she can control. She may decide to cook more healthy meals at home or spend time with friends whom she usually brushes off in order to exercise. If Angela does want to keep exercising rigorously then she can devote effort to building upper body strength so that she looks incredible come strapless dress season! The options are endless, not ending, when you get injured and have to look at the world from a new perspective. It takes time to see things this way, but it can happen. Chick in picture looking lovely since this “accident” was merely staged for stock photography. Disclaimer: The real deal is NOT this tidy and attractive! Once I was released from the hospital, I got a ride home from a cop. After she dropped me off, I took a nap on my couch and then hobbled down the block to the pharmacy for my pain killer and muscle relaxant prescriptions. Moving felt terrible but I took it as a positive sign that I was capable of putting one foot in front of the other. This meant that I could get back to my job, right? The day of my accident I had 11 hours of work on my schedule. I was terrified of losing income and damaging accountability with my clients. Most of this fear stemmed from the fact that it was the spring of 2009, not long after the major U.S. economic crash. I was in a hustle mentality, happy to have a secure job and determined to pack my work days with exercise classes to teach and clients to train. I was exceptionally exhausted and simultaneously exhilarated from my one-woman daily mission to change the world in spite of the most obvious obstacle: people were tightening their purse strings because they were afraid they would lose money or already had lost money in the crash. So, ignoring my exhausted body’s protests, I went in to train the last few hours of clients I had on schedule for that evening. I was delirious and in denial. I laughed off others’ concerns about the “crazy accident” that happened earlier that day. Needless to say, nothing about it was funny. All I do know is that I refused to think of myself as “injured” for too long. One of the most critical things to do when injured, is to accept it. Also important is learning (over time) that acceptance doesn’t mean your life is over. Acceptance is simply the first step towards truly healing. As mentioned in lesson #2, I dealt with some major challenges after getting injured, one of which was sleep deprivation. At first I couldn’t sleep because of the severe inflammation in my hips and back. Any direct pressure on that area was excruciating. Sleeping directly on my back or stomach was simply out of the question due to the discomfort, so I slept on my side. Even that posed challenges. I could be sound asleep in the middle of the night and wake up to pain while attempting to roll from one side of my body to the other. Over time, I couldn’t even fall sleep because I was afraid of the pain and restlessness that lay ahead of me throughout the night. This fear caused me to stay in a fight-or-flight mode throughout the night, my heart racing. The harder I tried to fall asleep, the more sleep evaded me. My efforts regularly turned into frustrated tears and fits of fatigued hysteria. For almost a year, I barely got 6 hours of sleep each night. The majority of this timeframe, I was working 10-12 hour work days on a broken 4-5 hours of rest. Obviously, my mind and body began to break down even more. The more I mentally and emotionally caved under the pain, the worse it became. It was a vicious cycle that I didn’t know how to break. I can remember days when I wondered if my life was over. I thought I would never see the day that the pain ended. It was stifling and slowly suffocated my ability to stay positive. As I became more physically inflamed and emotionally overrun, my stress translated into many new physical issues. This is sometimes considered to be somatization; mental and emotional stress resulting in physical problems. I suffered a few panic attacks that seemingly struck me out of nowhere, I had a moment or two of binge eating in my distress, and I began moving in pain-avoidance patterns that exacerbated my issues. My stomach would hurt. My head would hurt. Everything hurt. I could no longer tell which pains and challenges were the cause of my physical stress versus my emotional stress…there were no hard lines separating the two because they were inherently connected. For the longest time, I felt like I could control the pain if I just tried hard enough. Eventually though, after many months and years of playing ring-around-the-rosy with this nemesis, I discovered that the world could stop spinning…if I learned my pain’s language. I realized that the pain wasn’t actually trying to hurt me, it was trying to help me! My body was sending me signals that something was wrong and if I learned what my body wanted most, then it would reduce the pain, sending me the message that we were finally on the same team with the same mission: to get better! Although I already mentally knew that the body acts like one integrated machine, with all its complex parts influencing one another with every step and every breath, I didn’t really understand this firsthand. I hadn’t felt this truth before. But suddenly, I started to realize that a brand new pain in my knee, and a strange crackling in my ankle, were both related to my initial injury. They weren’t brand new injuries out of the blue, they were responses that my kinetic chain (i.e. musculo-skeletal system and neuromuscular system) was having to the primary issue: back and hip misalignment and instability resulting from damaged soft tissue (i.e. muscle). The more I remained out of alignment and unstable, the more the different parts of my body started talking in foreign languages and losing touch with one another. It was up to me, and me alone, to figure out how to treat the initial issue in order for my body to send out a message to all its parts, commanding that they get back to their primary language. They needed to speak the same language to work properly together. 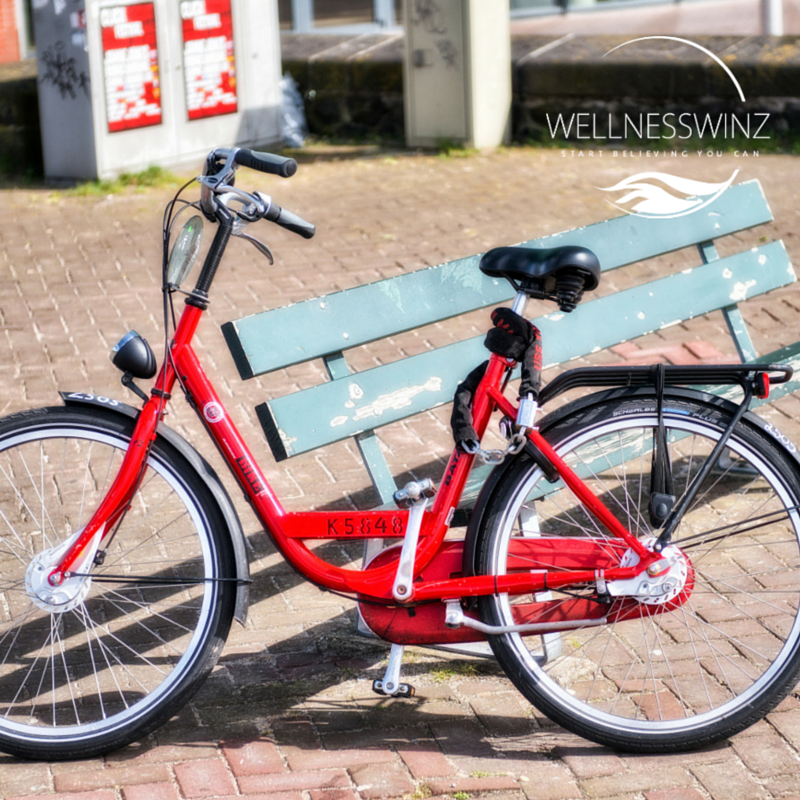 When I started to realize that my body wasn’t breaking down in a million places haphazardly, I began to look at exercise and recovery solutions that would benefit my whole body rather than its isolated parts. If I continued to ignore the relationships between my various body parts then each would continue to grow stronger in its new language (which subsequently would make the whole body weaker). Thank you for reading Part 1 of this story. As you can tell, it’s very personal to me. Part 2 is coming up soon! Stay tuned. 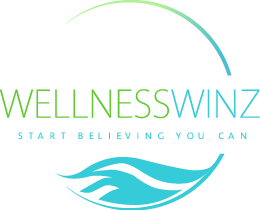 This entry was posted in Fitness, Happiness, Spirituality, Wellness and tagged Beauty, car accident, Exercise, Fitness, healing, journey, kinetic chain, Mind Body, pain prevention, personal trainer, spiritual wellbeing, Washington DC, wellbeing, Wellness on May 18, 2015 by wellnesswinz.